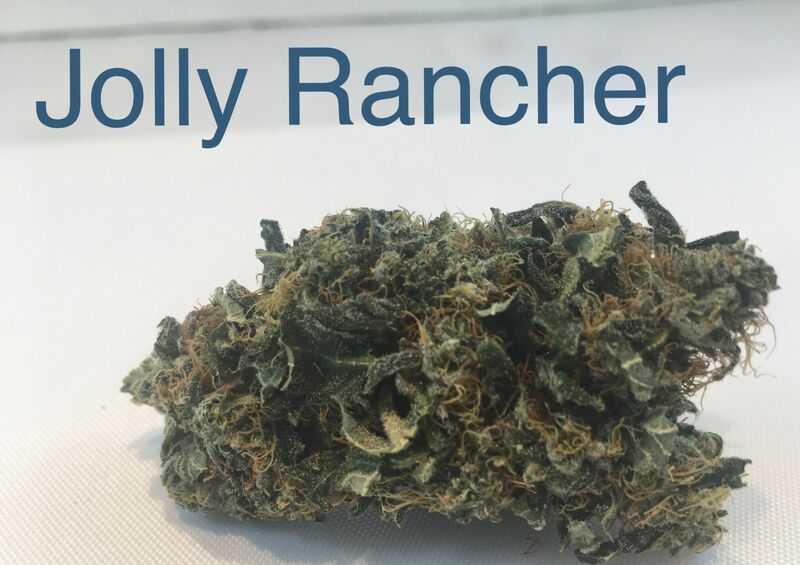 Jolly Rancher is a sativa dominate hybrid, the genetics of the strain are wildly agreed to be unknown. Jolly Rancher presents an overly fruity scent that hints towards it intensive sour grape hard candyesque flavor. Many paitents chose this strain for its flavor and scent only to later find out that it has many medical benefits. Medical benefits such as treatment of : Anxiety, Depression, Stress, Fatigue, Muscle Spasms as well as Migrains.